EPtone is FormX's own epoxy and polyurethane pigments; It will color epoxy resins, polyurethane resins, polyurethane rubber and polyurethan foams. 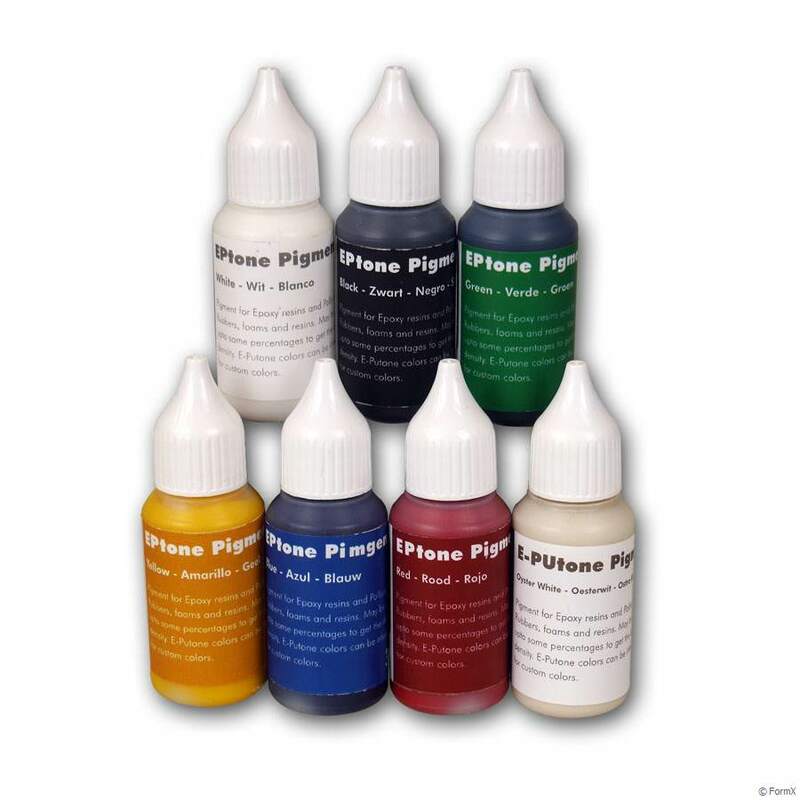 Available in 7 colours in 30 ml. bottle with conivient dropper.